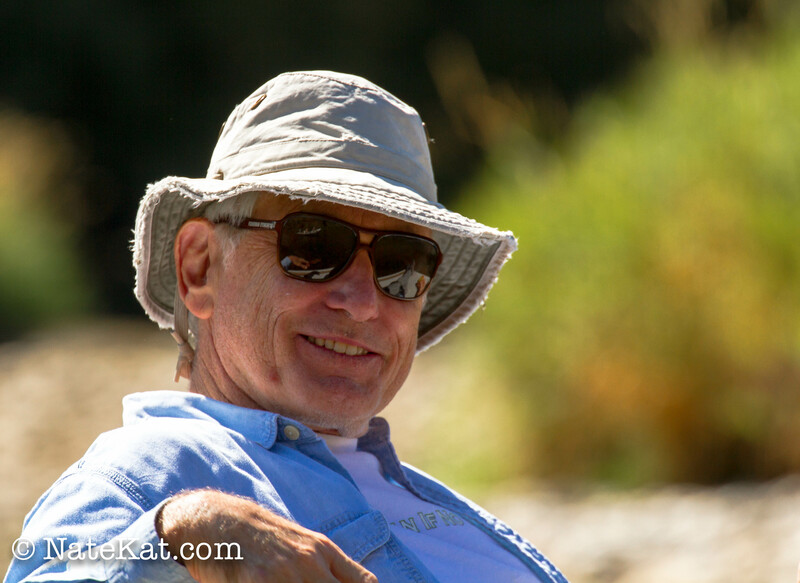 We are currently backpacking in the Havasupai Indian Reservation (near Grand Canyon) which luckily is not affected by the government shutdown. 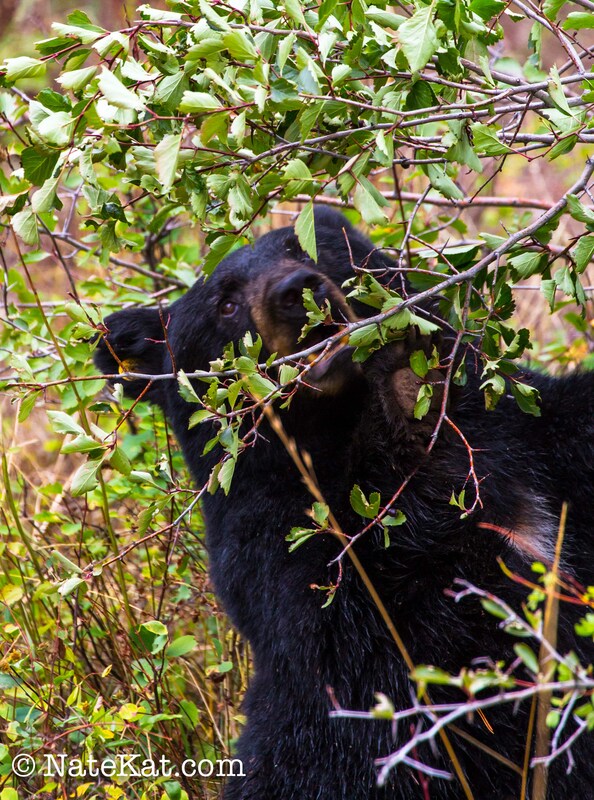 We were fortunate to finish our Grand Canyon Rim to Rim backpack before the shutdown, and we are hoping the parks will be open by Sunday so that we can finish the rest of the trip as planned! 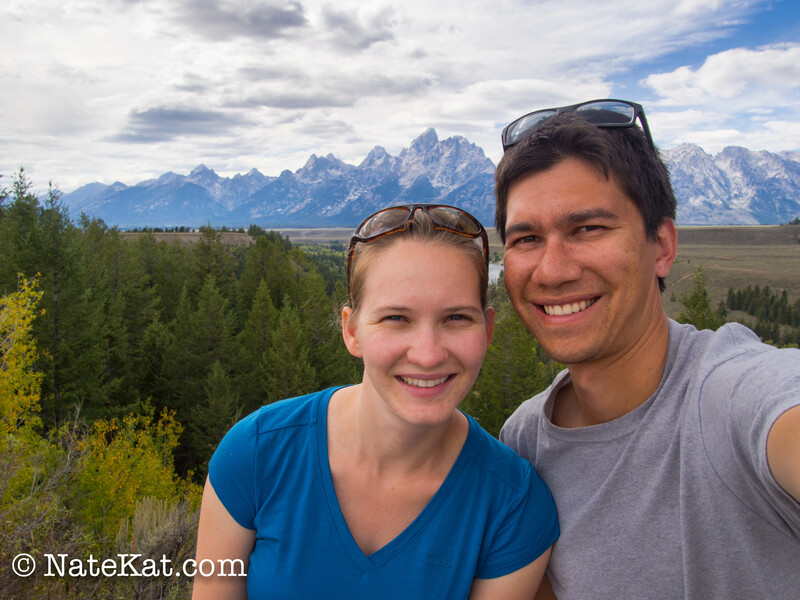 We spent over a week in the Tetons since it’s one of our favorite parks and Katharine’s family and close family friends met us there. 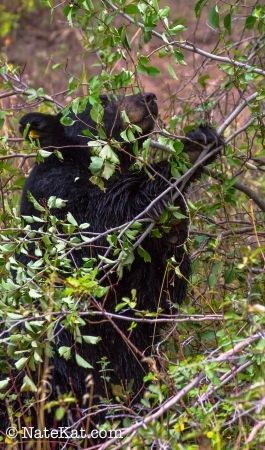 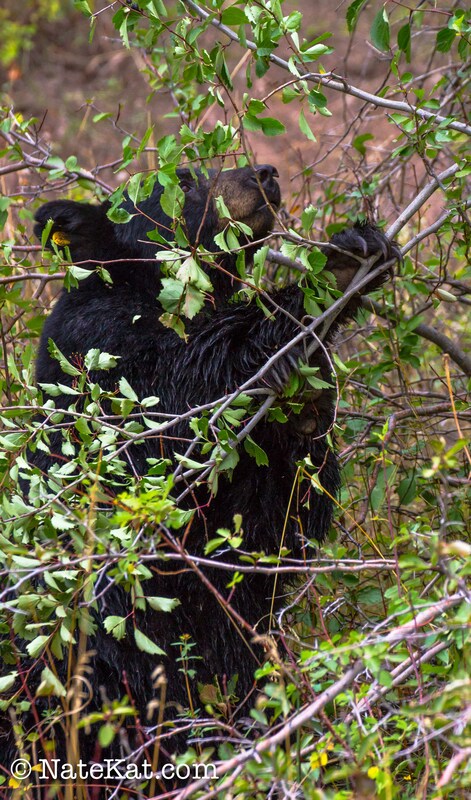 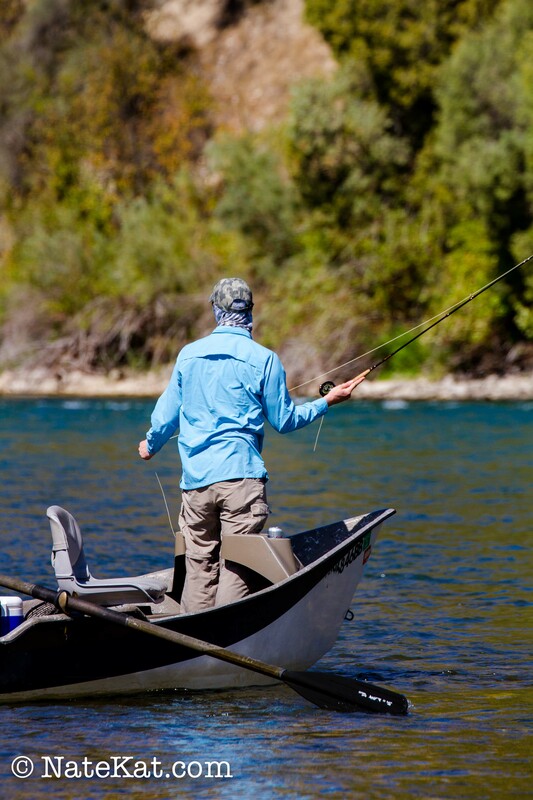 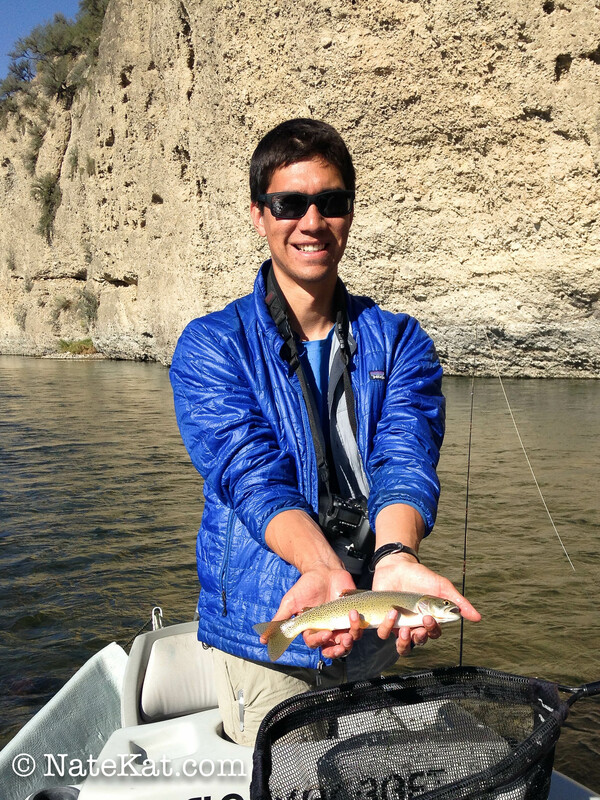 This trip report only covers the wildlife we saw during our trip and some fishing on the Snake River. 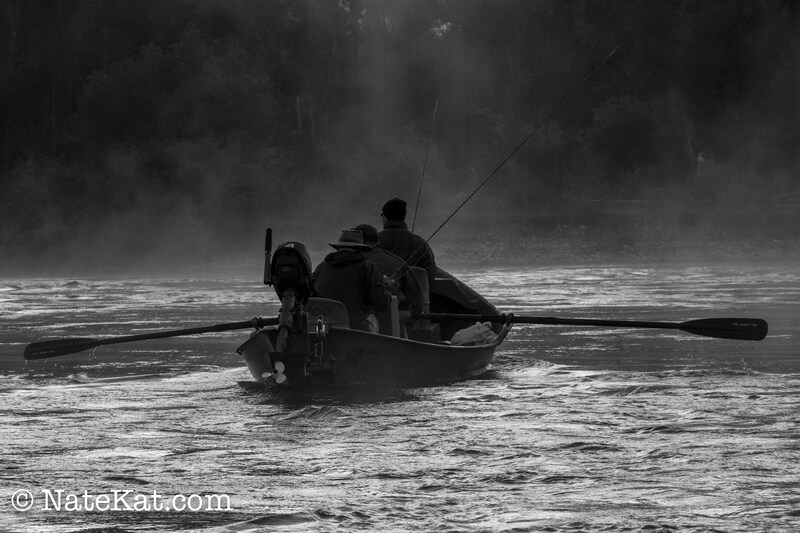 There will be a couple more posts to come. 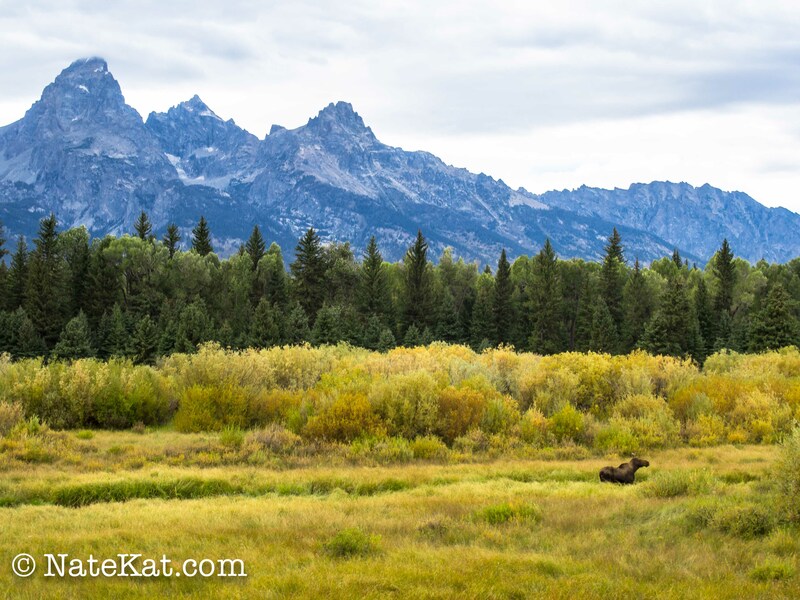 Grand Teton is one our favorite parks because it’s where we got engaged just over three years ago, but there’s a lot to like, especially all the wildlife. 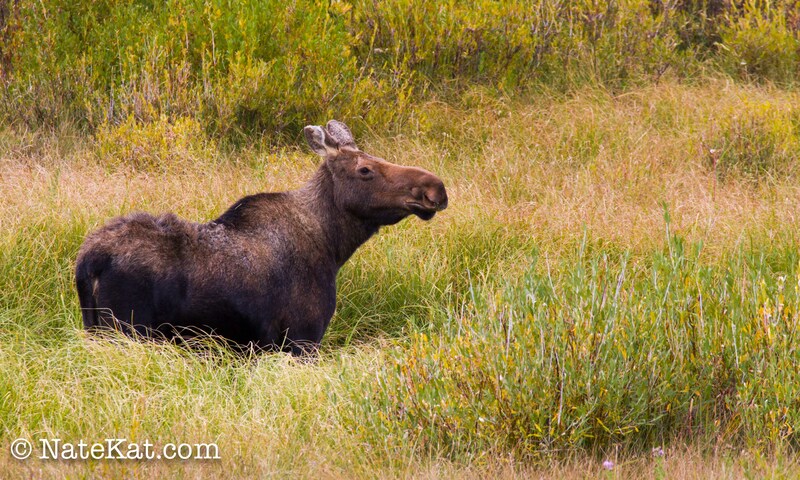 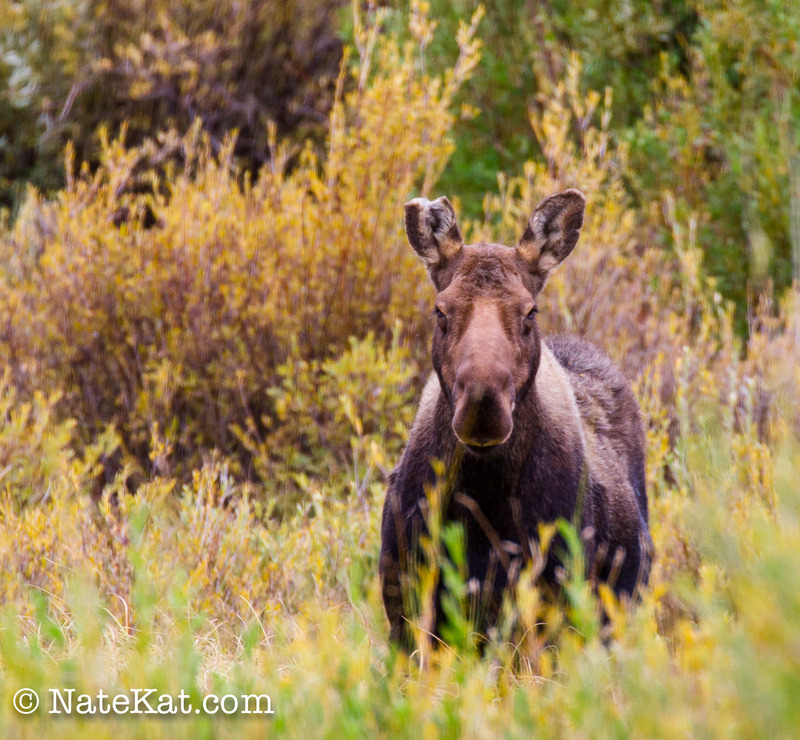 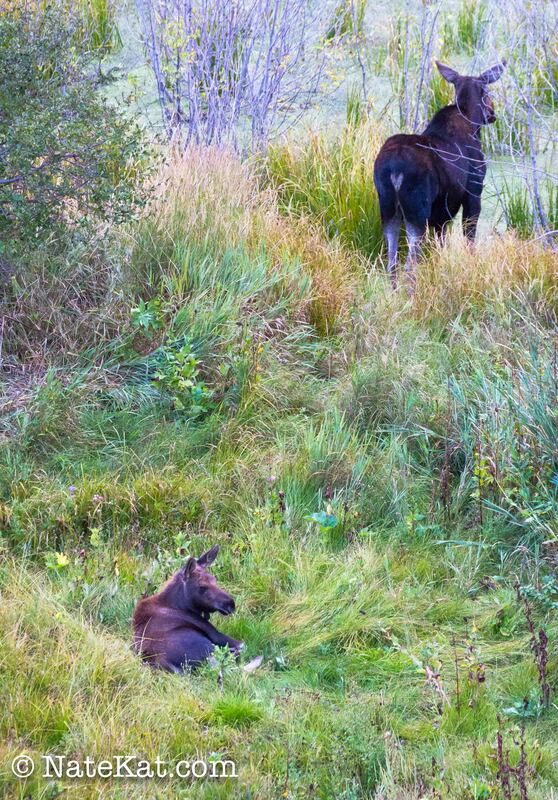 In the mornings and evenings we would drive the park roads and keep an eye out for elk, moose, or bears. 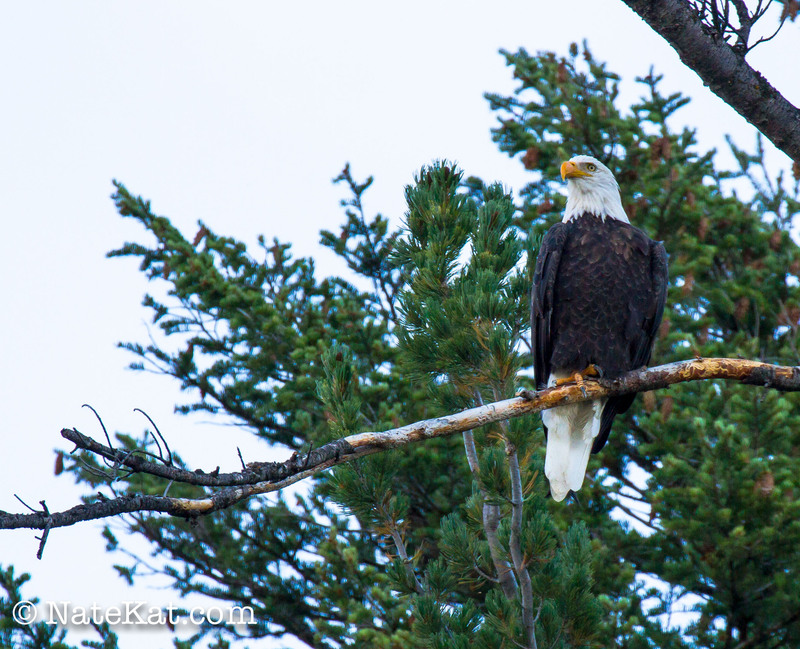 This year we saw all three and then some. 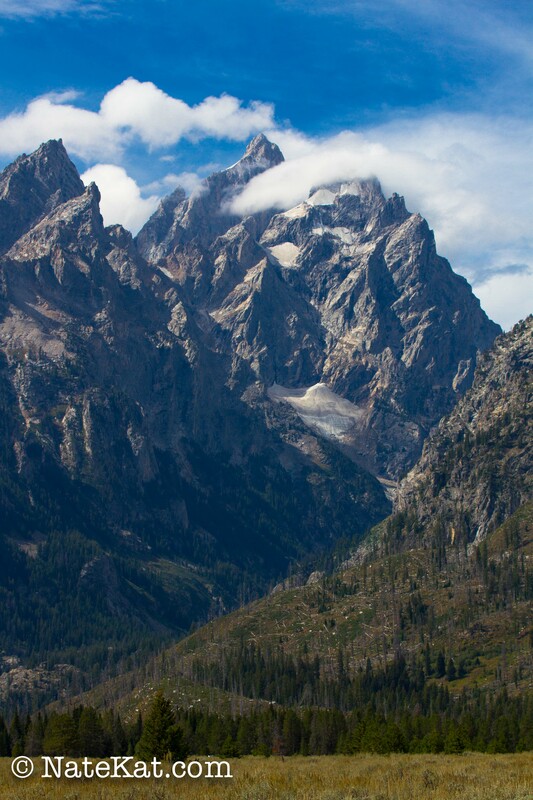 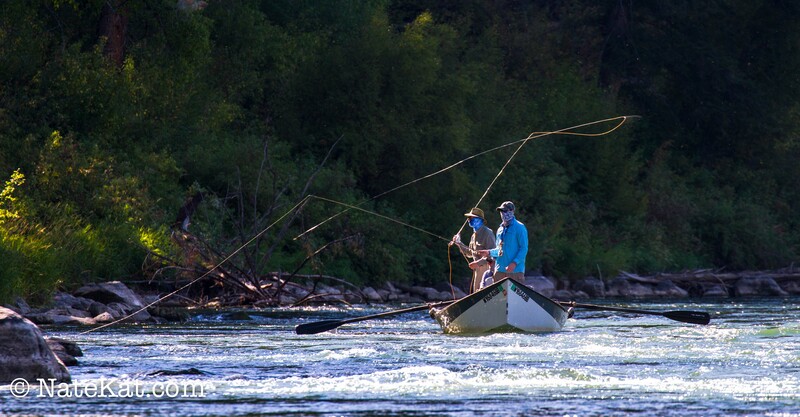 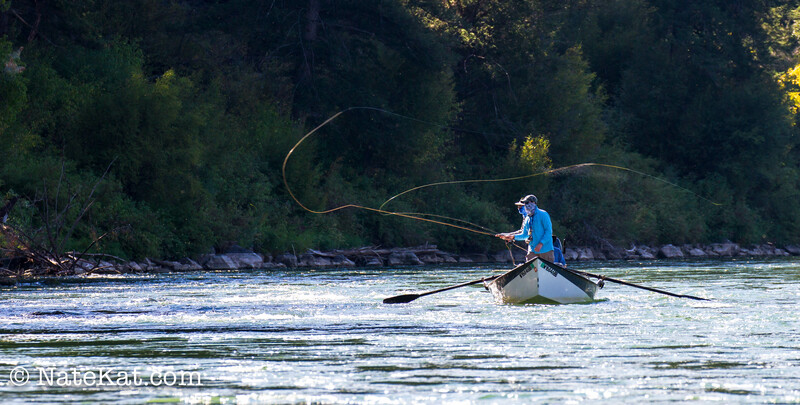 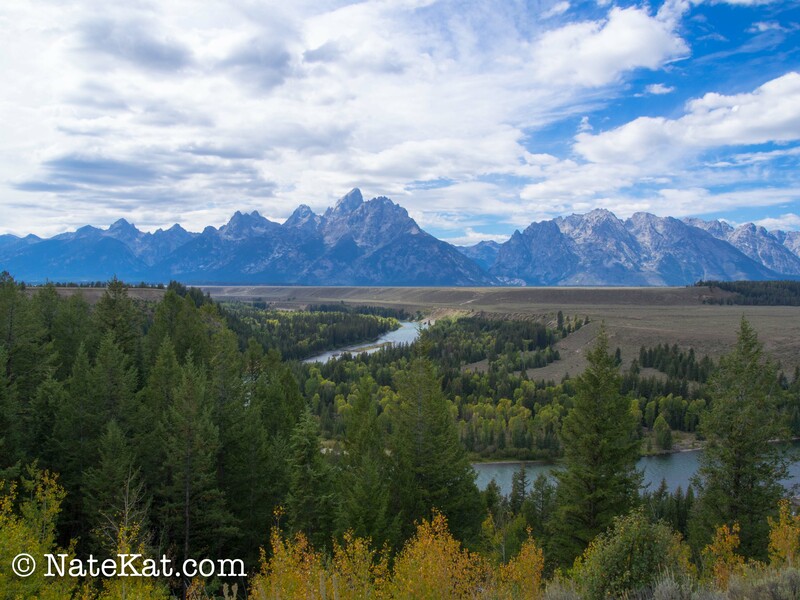 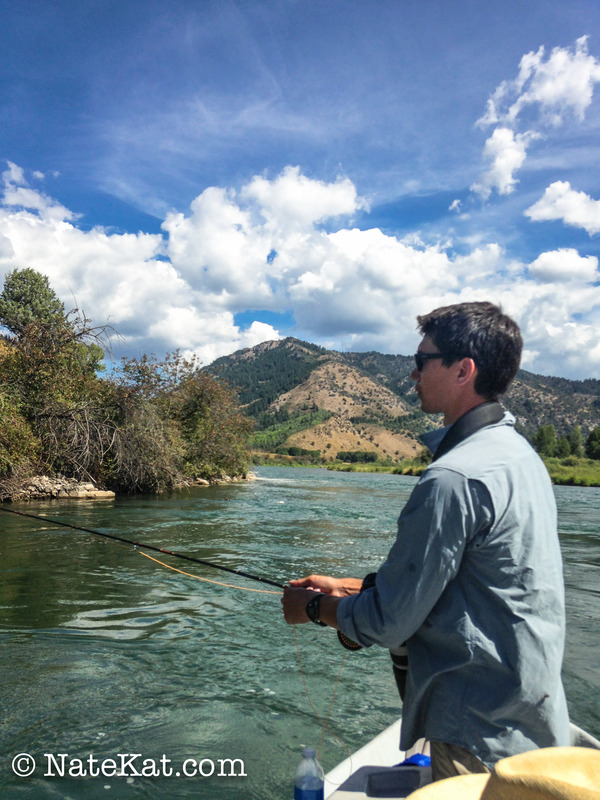 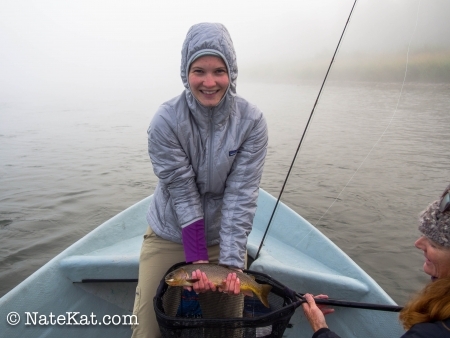 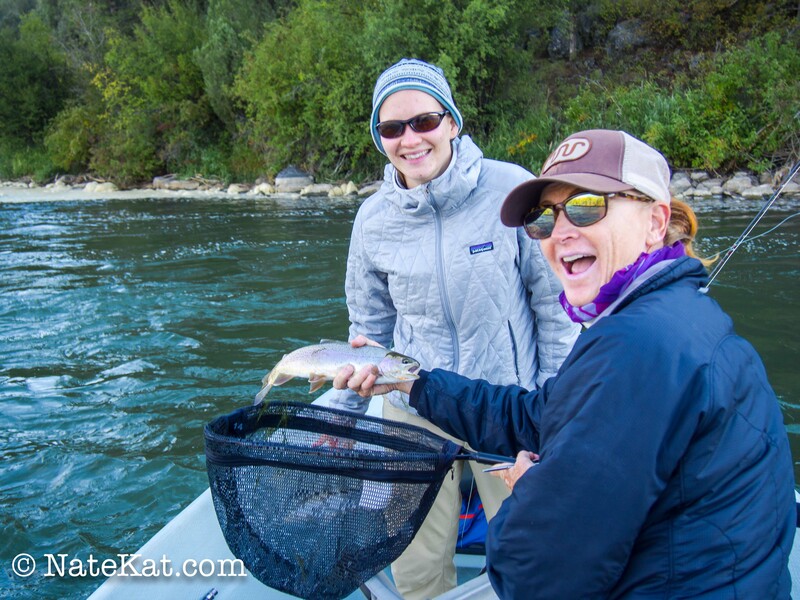 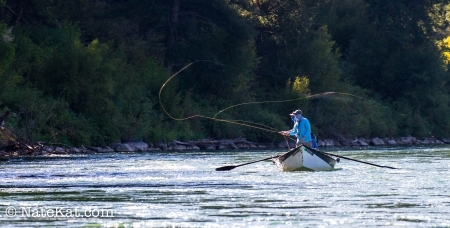 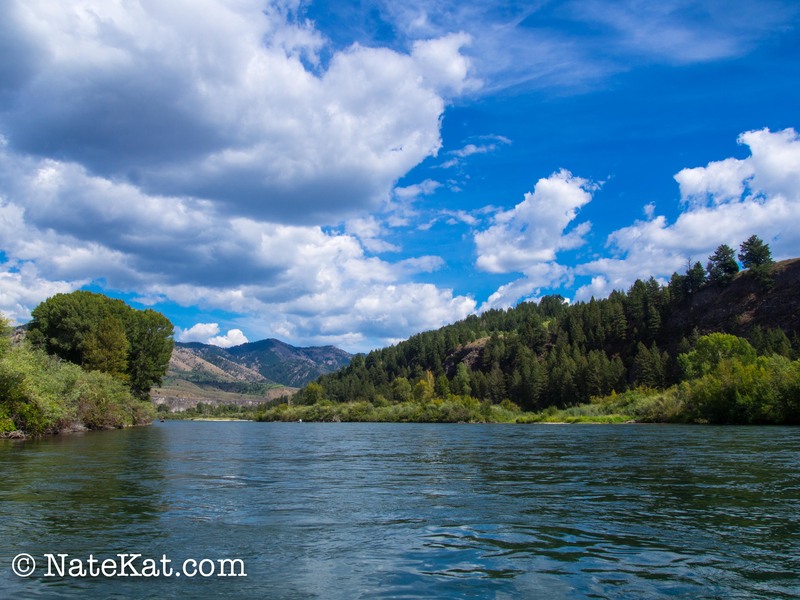 Katharine’s dad and brother are avid fly fishermen and will jump at the idea of spending time in Jackson Hole. 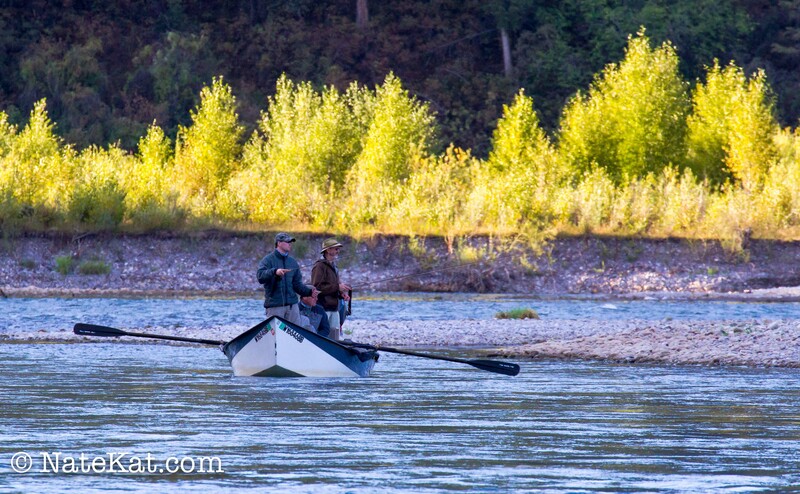 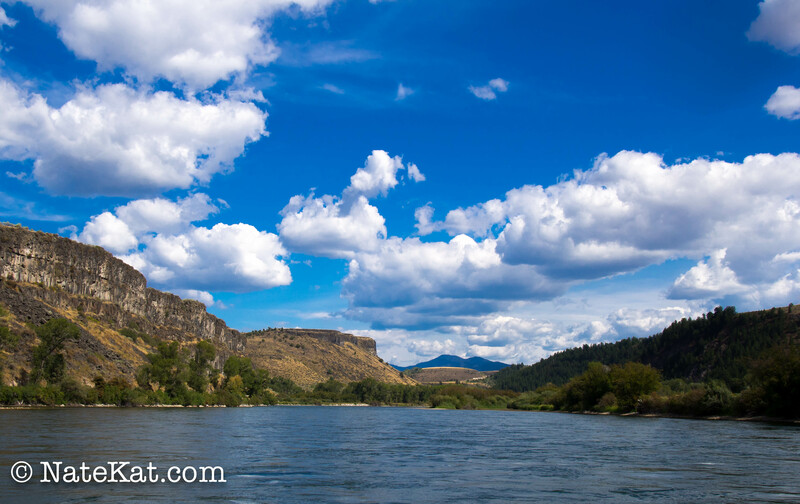 We were lucky to join them on a float trip down the South Fork of the Snake river. We started early in the morning catching fish in the river mist. 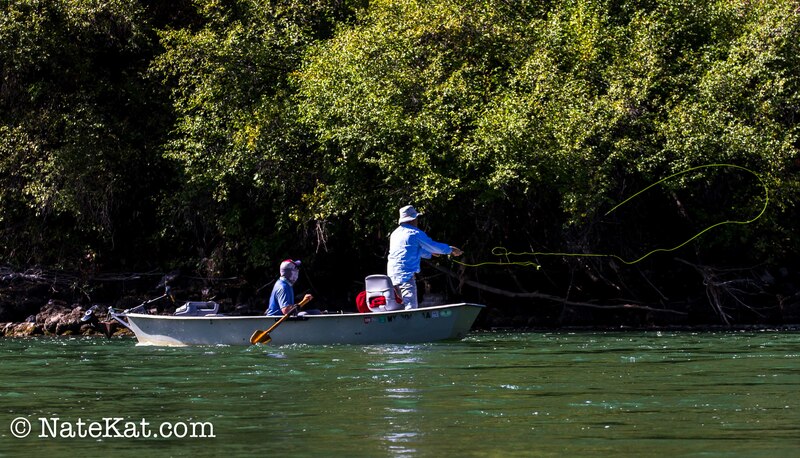 We spent so much time focused on the river and our flies drifting downstream that we often would forget to look up at the beautiful surroundings. 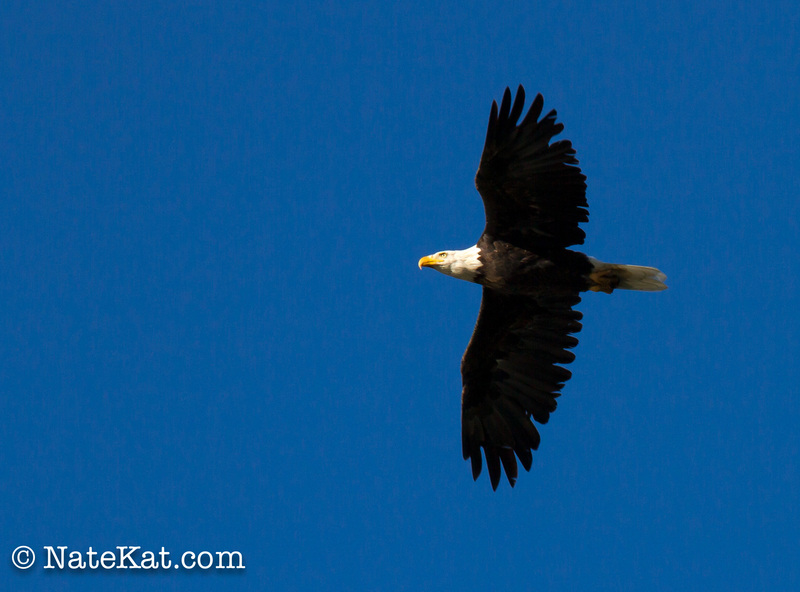 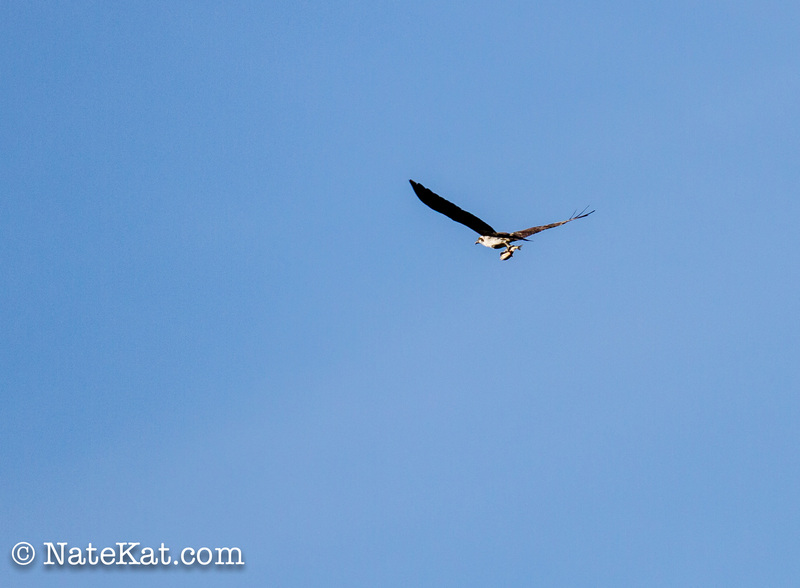 Osprey and Bald Eagles stalked the trout below, and every once in a while we’d see a bird flying off with a catch. 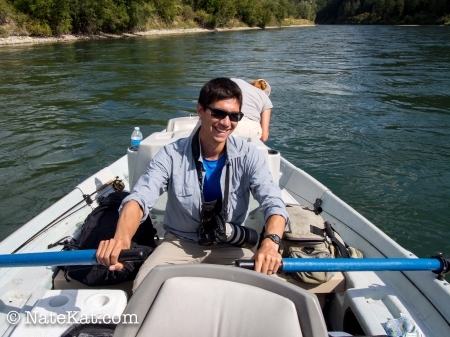 Nathan even got a chance at the oars while our guide started up the motor. 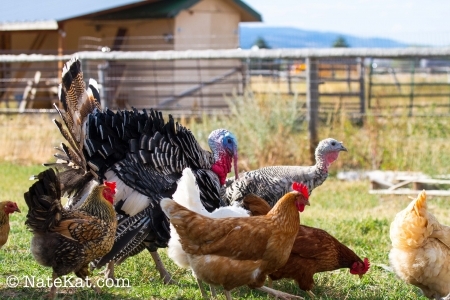 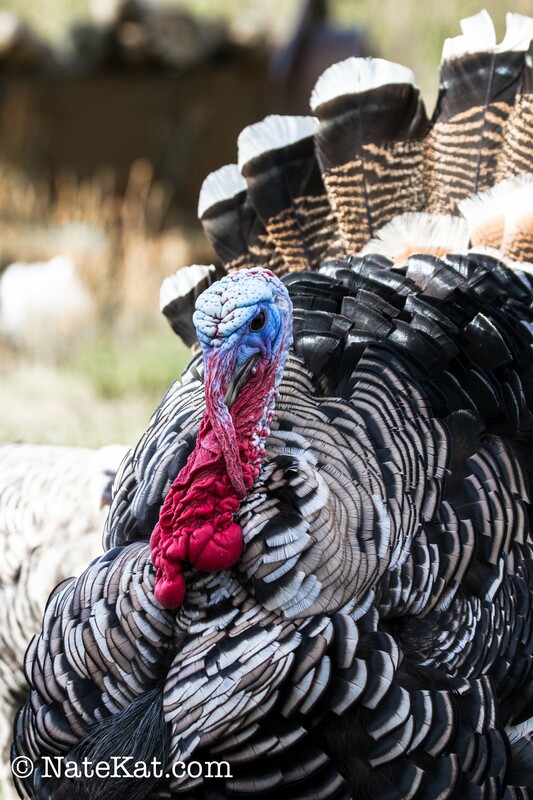 After fishing we stopped at our guide’s house and were impressed by the domestic turkey and all the chickens. 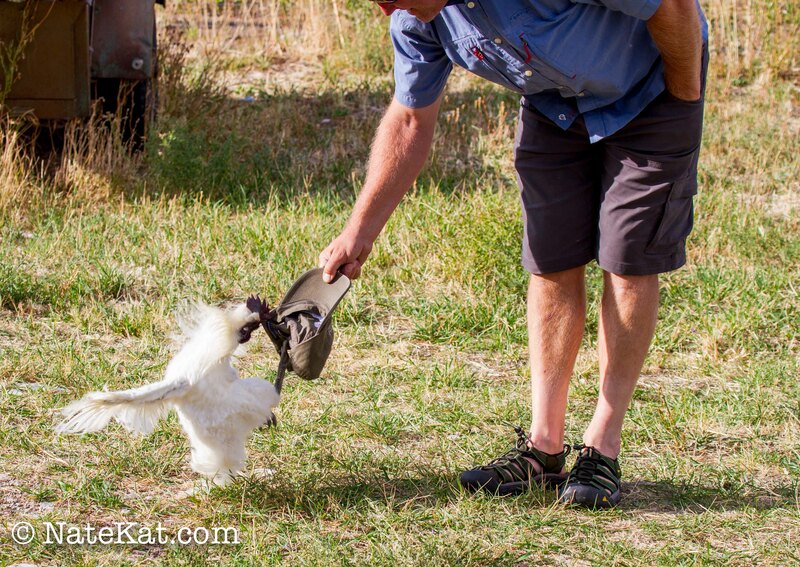 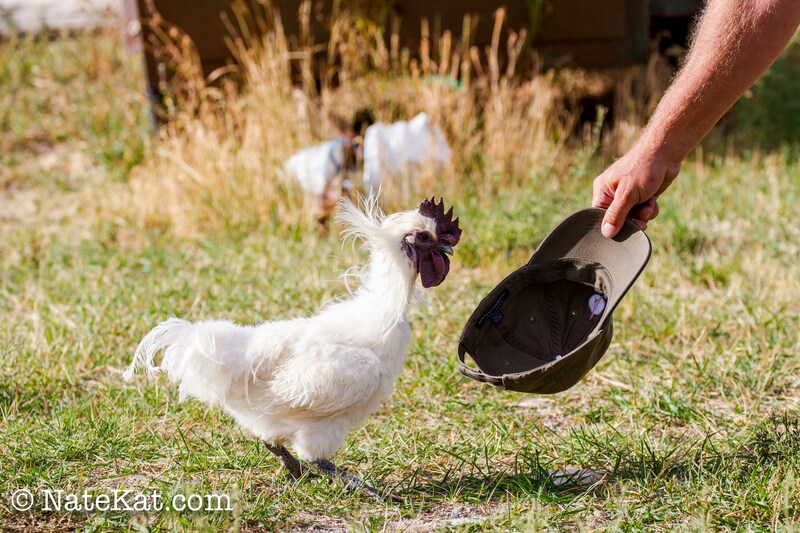 There was one feisty rooster that didn’t like the looks of one of the guides hats. 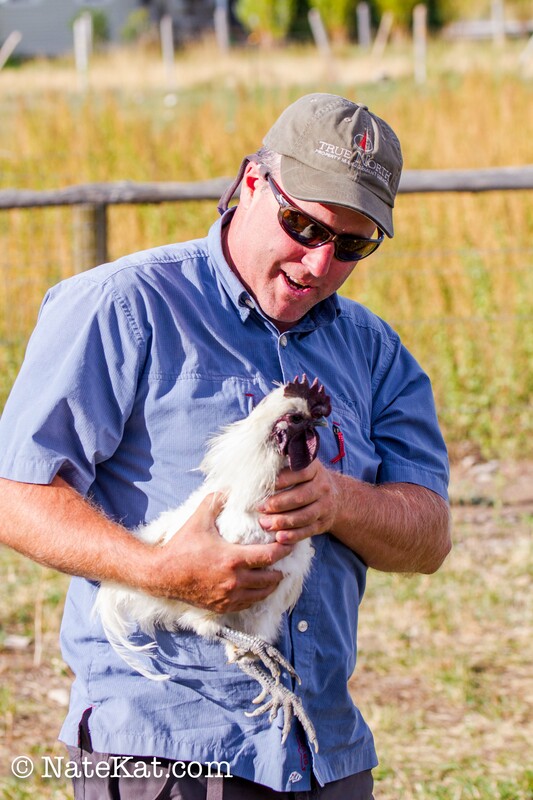 Eventually the hat won and the rooster was caught. 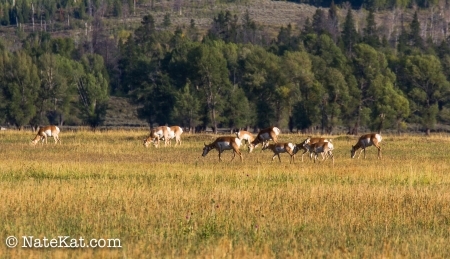 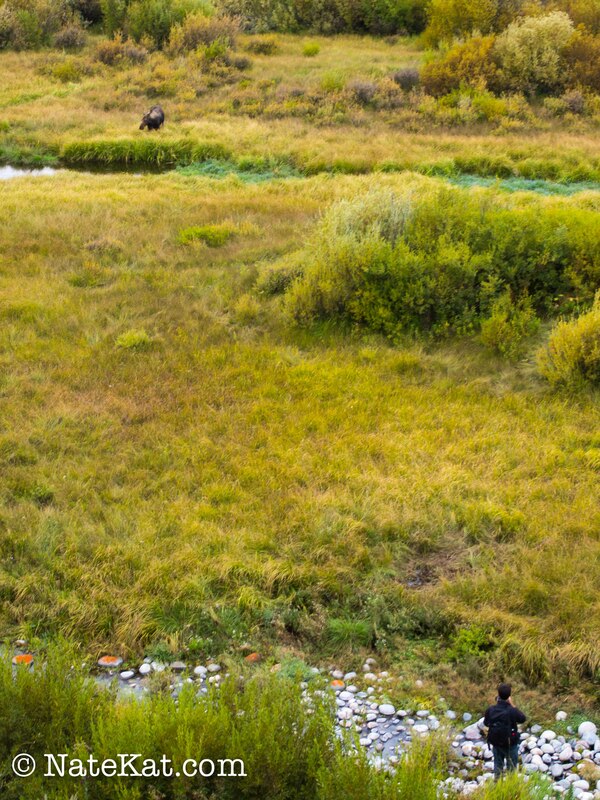 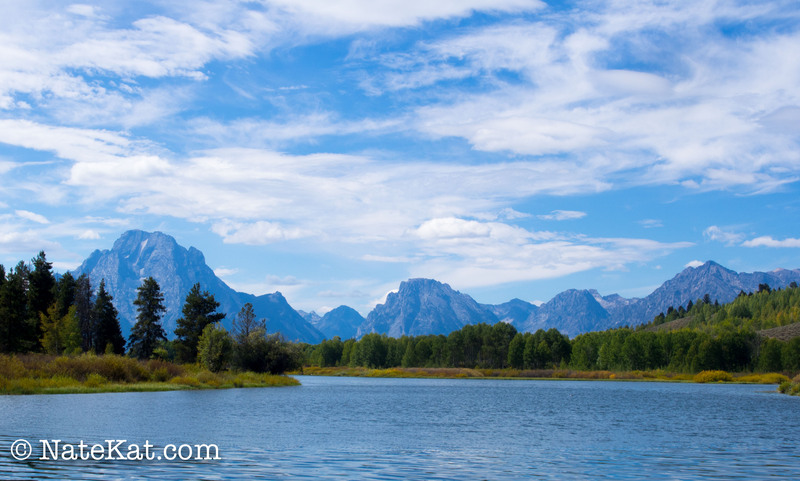 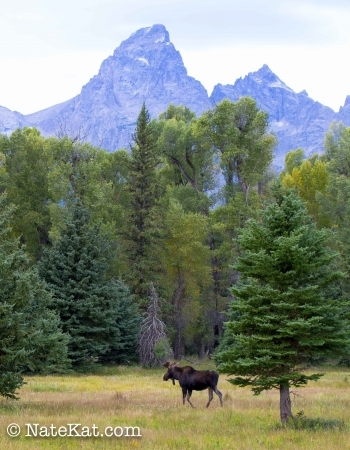 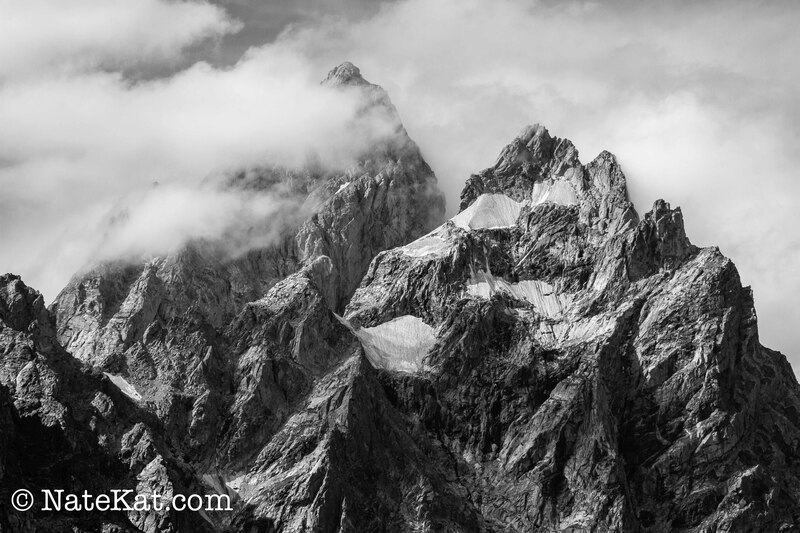 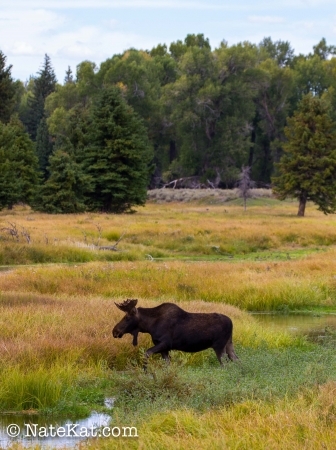 Wildlife photography and fly fishing in the Grand Tetons… it doesn’t get much better than that!